Do People Actually Light Up Their Chimneys? Well, believe it or not – they do and for good reason. 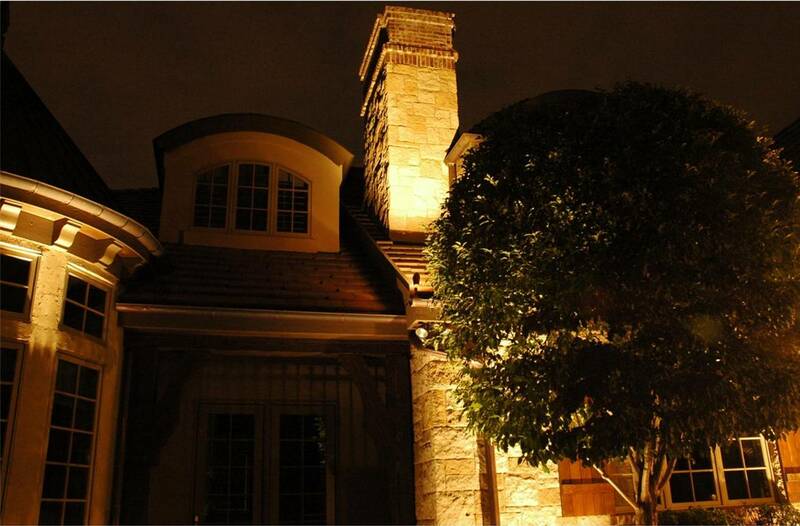 Most landscape and architectural lighting professionals tend to develop their list of favorite things to light up, and for us it has been residential chimneys. Many custom home builders in the Denver market (Suderman Homes, Bond General Contractors, etc.) have also taken chimney design and construction to a whole new level. And since the chimney is the highest and most visible architectural feature of the house, it definitely creates a focal point of the house and property – during the daytime and after dark with lighting. On some houses, the chimney is not visible on the exterior of the house until it emerges from the roofline. With regard to lighting the chimney, that creates a challenging but not insurmountable problem with mounting the lighting fixture to achieve the proper lighting effect. 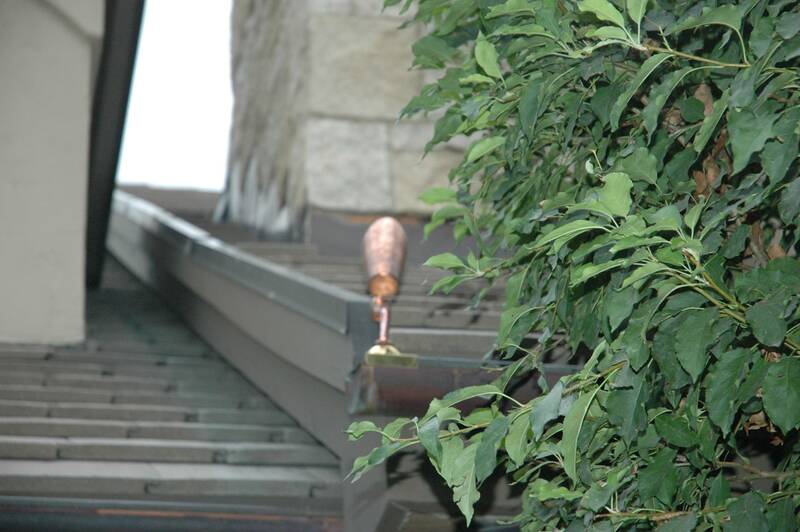 In the photo, you can see a close-up of our factory’s cast brass spot light (20W MR16) that is mounted in the copper gutter along the eave of the home. After the fixture develops a patina, it will blend in perfectly with the rest of the gutter. The good news is that most chimneys are visible on a home’s facade all the way to the ground level, and these of course are much more easy to light up. 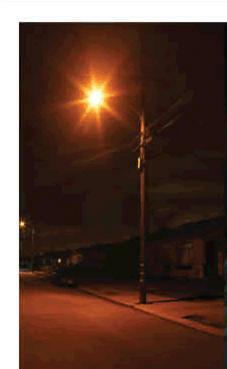 For this configuration, well lights can be installed in the ground to provide up-lighting on the chimney. Oftentimes, surprises can occur during evening lighting design demonstrations when you are setting up the lights for the chimney. On several occasions we have awoken nesting birds and have irritated bats. But the most memorable occasion was when we set up the lights for the chimney and noticed an impish gargoyle sculpture playfully smiling back at us. 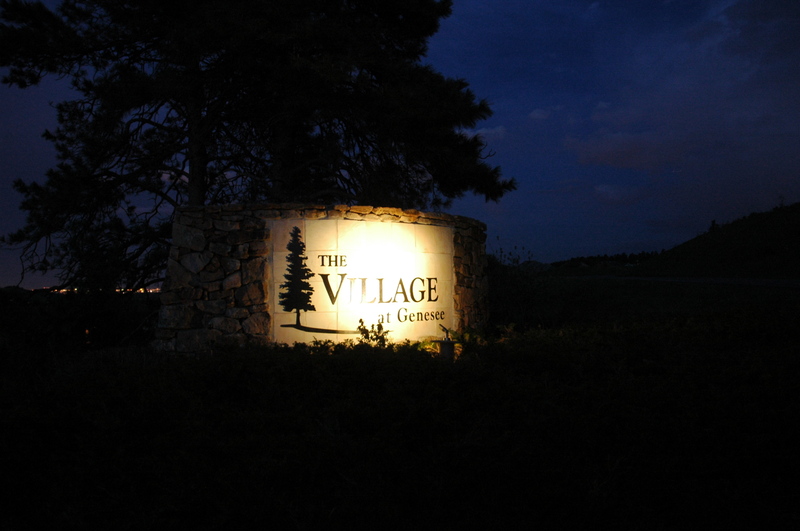 We still have homeowners ask us whether we were the ones who lit up the gargoyle down on so and so street. So just remember, with evening lighting design you are painting with light – and there’s absolutely no reason that you cannot make it whimsical and playful.